There is something amazingly special and powerful when it comes to the words that are spoken between parents and their children. There is something amazingly special and powerful when it comes to the words that are spoken between a father and his children. The same holds true for moms. Our children crave and need affirmation from both their parents. If not received and known, our sons will often withdraw within themselves, while our daughters will seek a man's affection and approval elsewhere. In Deuteronomy 6, we are told as parents to pour God's love and truth into the hearts of our kids. When spoken in love, these words not only affirm our children's identify in Christ and our love for them, they spur them on to become men and women of God. My goal as a parent is not to build up only their self-esteem, but to encourage their God-esteem, i.e. to see themselves as God sees them, while giving Him the glory and understanding that God created them for a greater purpose beyond themselves. I break these "words" into three areas of communication: 1 - Words of Love, 2 - Words of Affirmation, and 3- Words of Encouragement (which includes both "training and discipline"). I guess you could make the argument that they are all "words of love." Regardless, my children need to hear from me in each of these areas, while doing my best to saturate my communications with God's Word. I know that ultimately it is a combination of God's truth and grace they need most in their lives. “You can do this because of who you are in Christ.” (we often say in our household when tackling a difficult task to, "Philippians 4:13 it." My five children run the gamut of ages, ranging from as young as 5 to a 23-year-old. Yet, regardless of their ages, I’ve seen first-hand how my words can build them up or tear them down. This is not to say we should shower our kids with mere flattery. They need to know my love for them is unconditional and real. This includes those times when words of exhortation or discipline are necessary. Yet, if my words are not supported by my life actions, they will likely never be received. 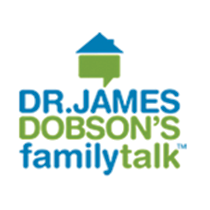 I’ve witnessed my children are quick to discern whether or not I’m “walking the talk.” My words of affirmation and counsel mean very little if there is not action to back them up. Kids are quick to see hypocrisy. I must be resolved to live what I preach. While all my children need to hear truth and encouragement from me, my sons especially need to hear words that affirm their developing manhood and my daughters need encouraging words that speak into their hearts as young ladies. What son or daughter doesn't crave to hear affirming words from their father or mother that speak to their developing manhood or womanhood? The culture today is attacking God's definition of what it means to be made male and female in His image. The enemy’s lies are like constant darts aimed at the hearts, souls and minds of our children. During their younger years, we must live on this battlefront with them and constantly be speaking God’s truth into their lives in order to combat the lies. When they are older, they will not only be grounded in truth but will know how to battle the lies with God's truth. I can never be too intentional with my life when it comes to my walk with God, my wife, and my children. Most certainly, this is an area of fatherhood I need to put into practice on a daily basis. I once heard of a man that carried some pebbles in his pocket, one for each of his family members, to remind him each day to speak words of affirmation and truth into the hearts of his family. Whatever it takes, I want to be that kind of man for my family.